Howdy Folks! Here’s a listing of my upcoming Summer 2018 shows. 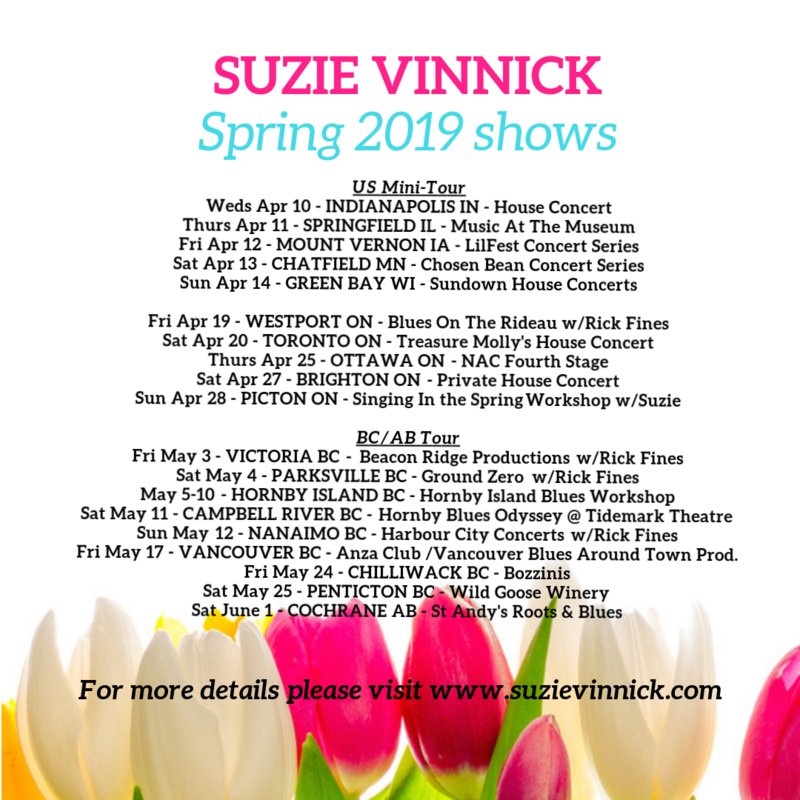 It’s been a busy spring with the launch of the new album – I hope to get to some other ol’ haunts and new places in the Fall, Winter and beyond! Hope you have a great summer and that… …read more. 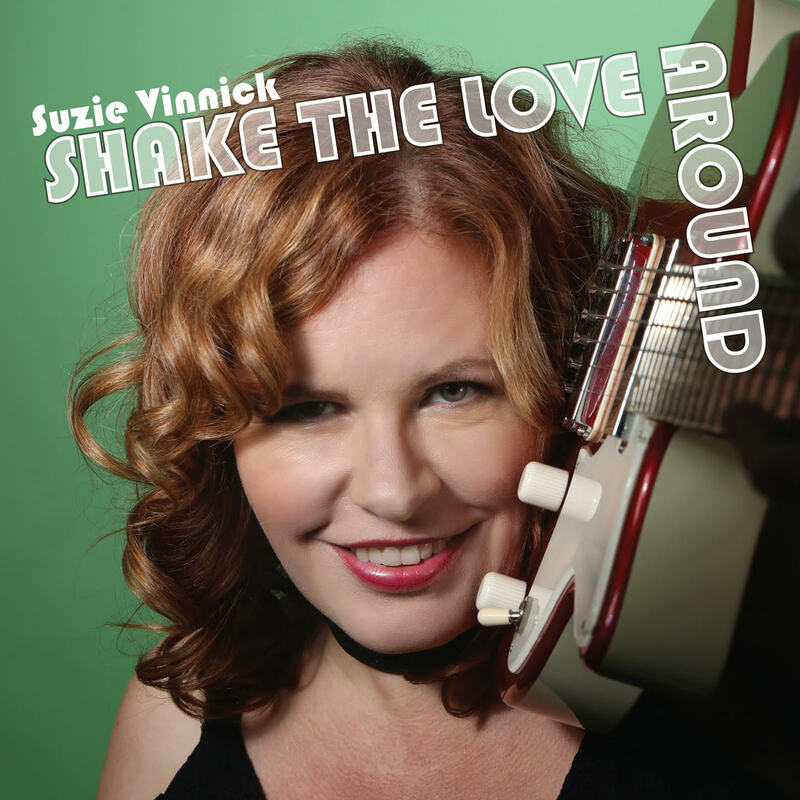 “SHAKE THE LOVE AROUND” officially released! Hey Folks, My new album has been released! There have a been a few reviews so far – big thanks to my publicist Sarah French Publicity for getting my album out there! 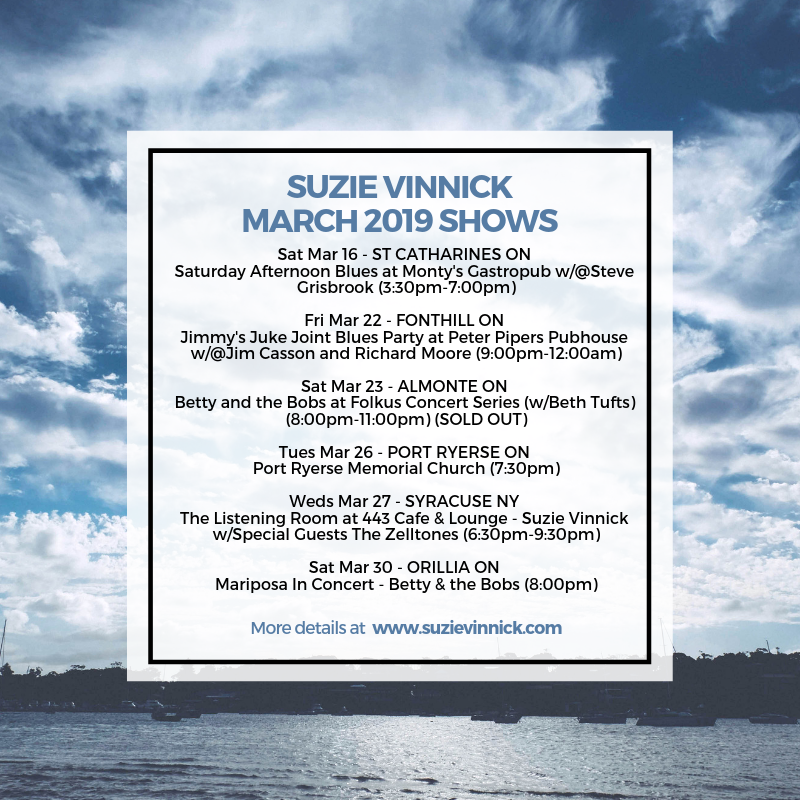 Here are the reviews so far: John Valenteyn/Toronto Blues Society (review is on Page 8) Bob Mersereau/The Top 100… …read more. “Shake The Love Around” Official Release on Friday, March 9, 2018! Hey Folks, My new album will be coming out officially on Friday, March 9th! 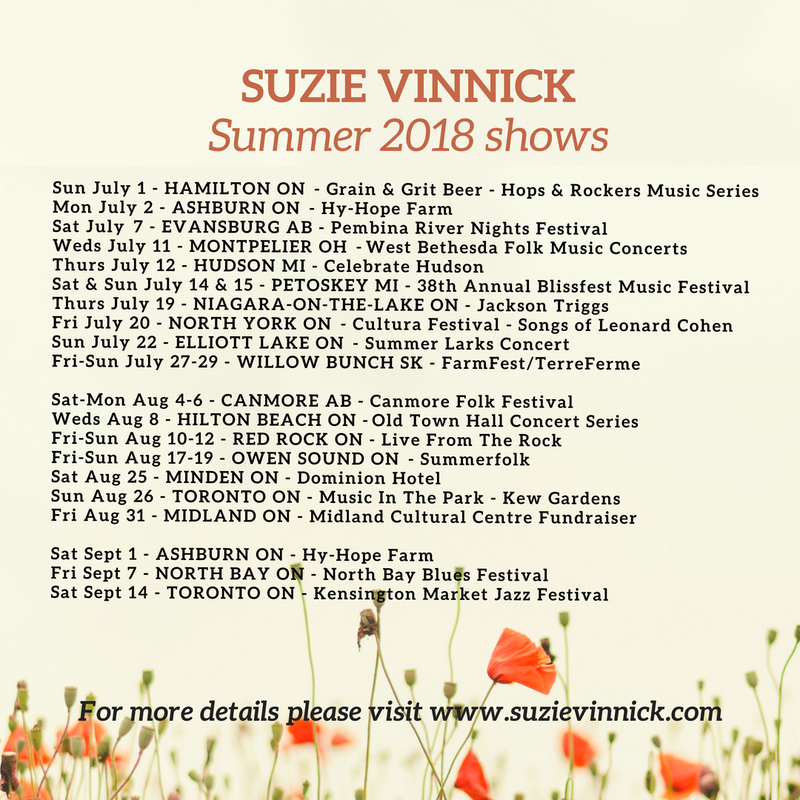 The new album will be set up in my store soon but if you’d like to purchase a CD now you can do so by sending $23 either via Email Transfer or Paypal to suzie@suzievinnick.com. Please… …read more. 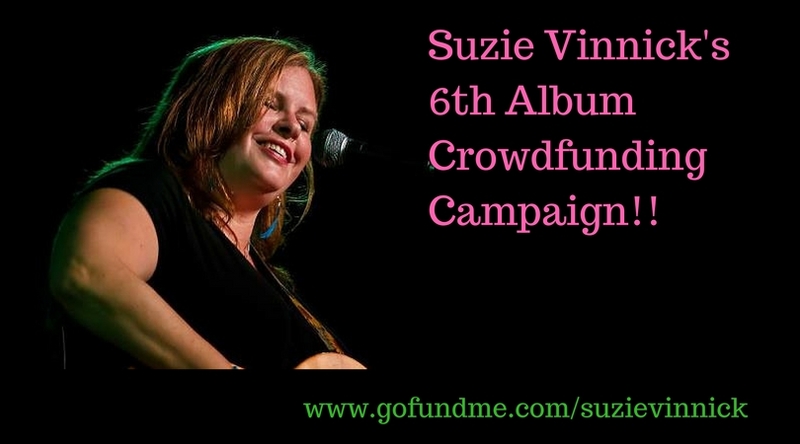 Suzie’s 6th Album – Crowdfunding campaign! Sorry to not update for a bit – I took some time off during the Christmas season to visit with my sister who came to Ontario from Edmonton. 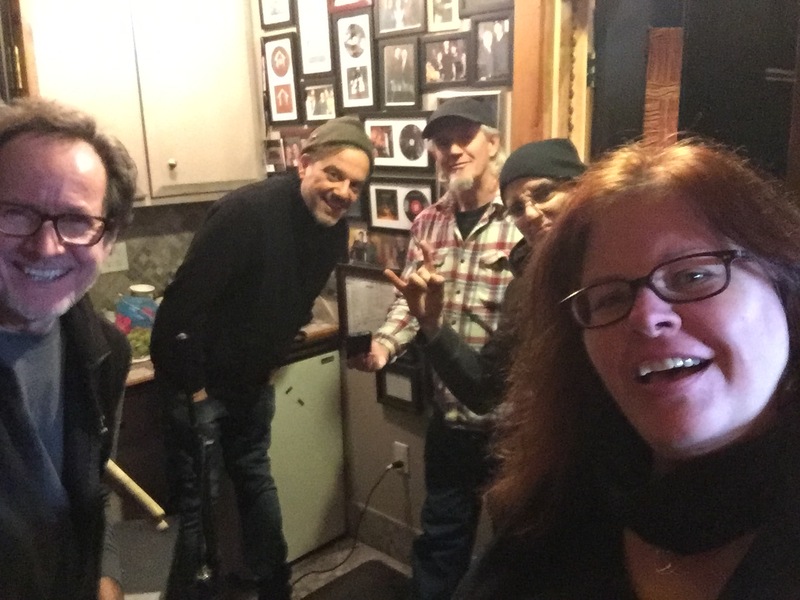 I was excited to find out during the holidays that I received a FACTOR loan towards my new album; I have managed… …read more. Howdy Folks! 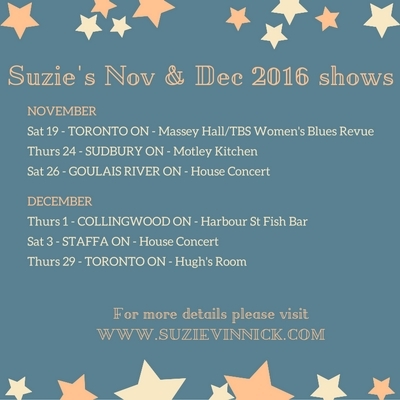 Here’s a listing of my upcoming November and December shows. Getting ready to return to Massey Hall in Toronto for the 30th Annual Toronto Blues Society’s Women’s Blues Revue show. 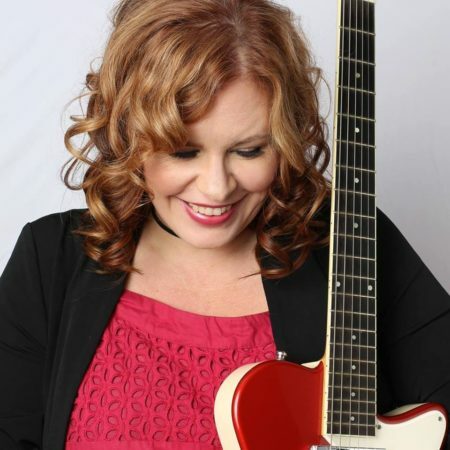 I’m playing guitar and lap steel in the band this year but will be kicking off the second… …read more. Howdy Folks! 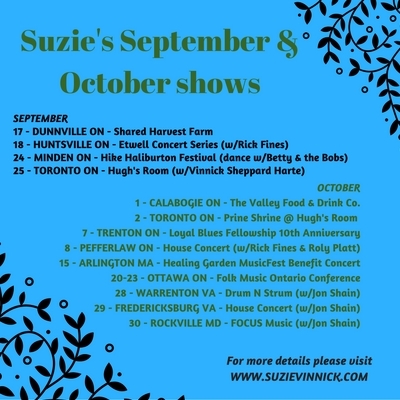 Here’s a listing of my upcoming September and October shows. Wanna wrangle me for a House Concert? A Skype Lesson (guitar, bass, coaching)? Then please feel free to send me an email! 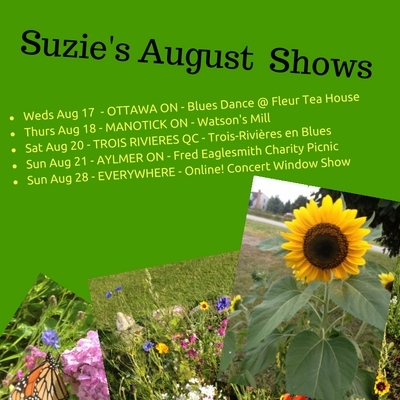 Here’s a listing of my upcoming August shows. I have a few weekends open in the coming weeks – August 26-27 and September 3-5 and 10-12 so if you’ve been thinking of presenting a house/backyard concert and you’re within 5 or so hours of Toronto please feel free to send… …read more. ©2019 Suzie Vinnick. Design by Janine Stoll Media.